So here's a project that's not red and I don't have to design . . .
Last fall I picked up a kit for this quilt at Pieceful Heart Fabrics in Lisle, Illinois. 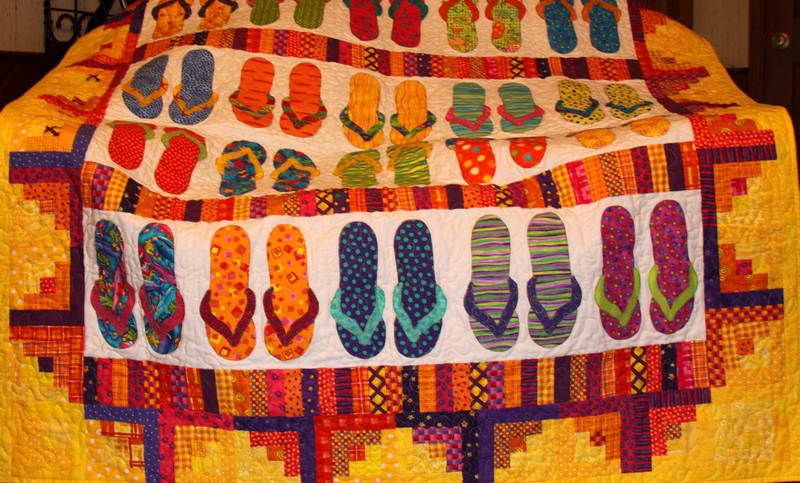 It's what I would call a "good old quilt". Not a company quilt, not a show quilt, not a put on the guest room bed quilt, just a good old throw on the back of the couch, let the dog lay on it quilt. 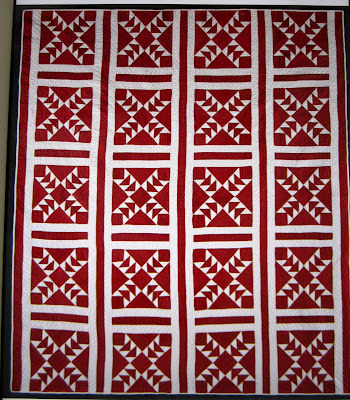 The pattern is by Paula Barnes for Bonnie Blue Quilts and is called James River Blues. I've seen this pattern kitted in other shops, but always with scrappy blue fabrics, I really like the looks of this pattern with some browns thrown in. I'm normally not a kit person, but when I do buy a kit I usually end up adding and subtracting so much fabric that my project doesn't end up looking much like the original. 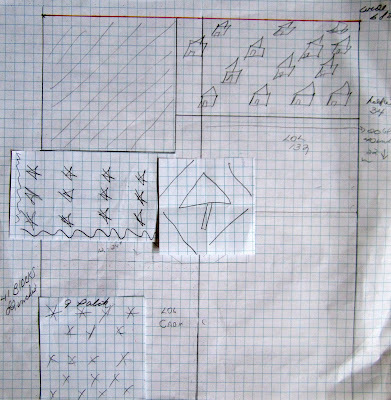 After a summer of red and white math, red and white mini quilts, and red and white fabric, this is just what I need, no changes, no thinking, just easy piecing. 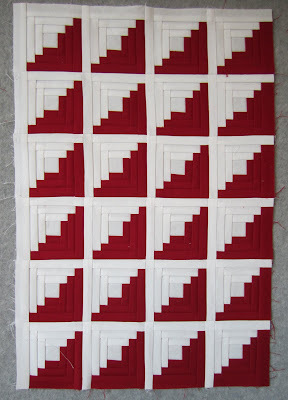 Red and White Tribute Quilt - The Final Chapter . . . .
Or, "How I spent my summer vacation"!! 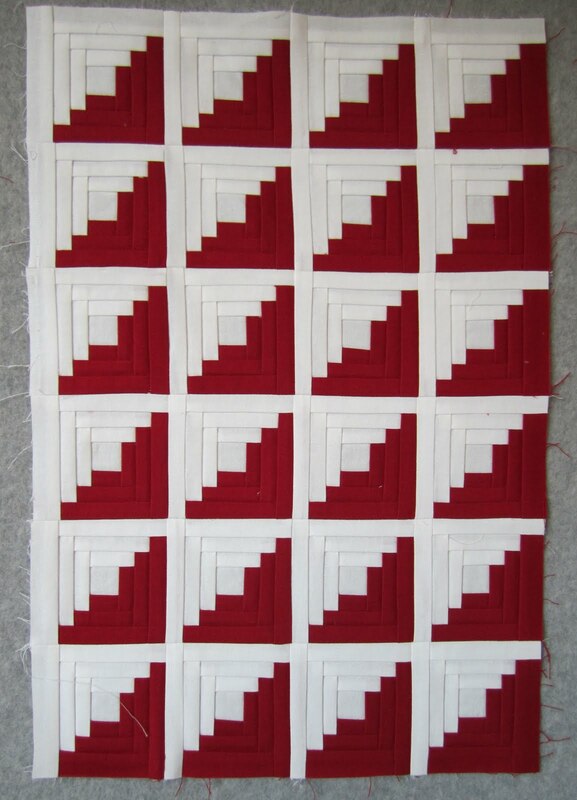 After torturing you with 10 Red and White Tribute Quilt posts I won't make you wait any longer, here it is . . . 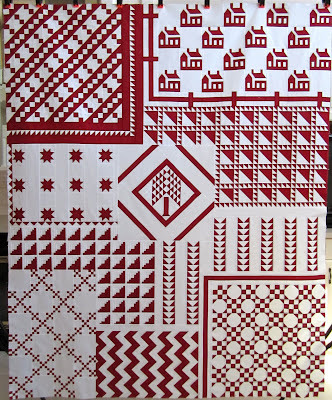 The idea of this quilt is to make you feel like you're walking into the Infinite Variety Three Centuries of Red and White Quilts Show and all that you see is red and white quilts. 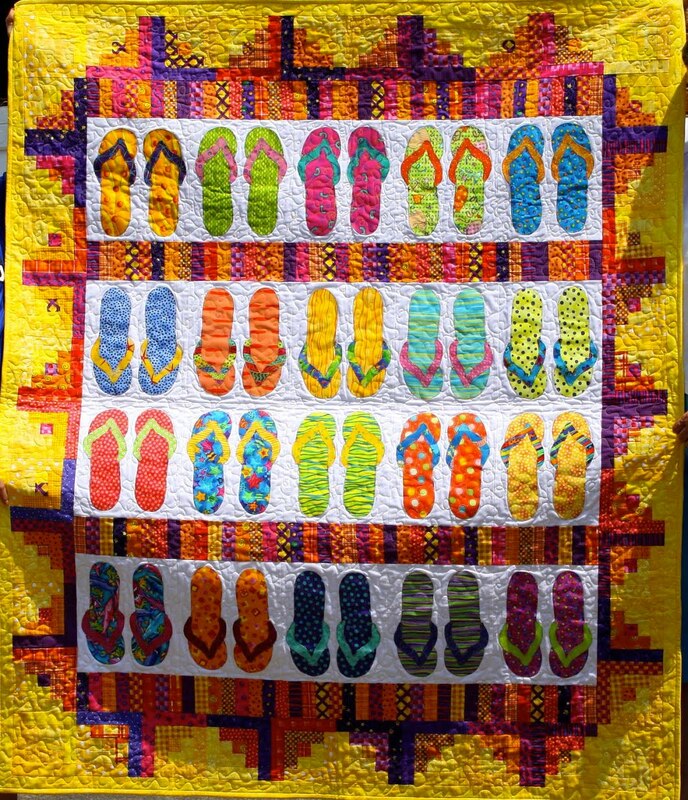 This quilt has no border for one reason, I wanted my mind's eye to continue with each quilt that was on the edge and to the other quilts in the show. Having a border made this project have a stopping point, and it doesn't, not to me, after all, the show wasn't called Infinite for nothing! 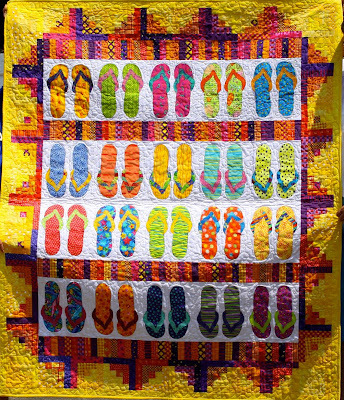 I was also a maniac about the layering of each quilt, the center tree quilt is the only piece where you can view the entire quilt, the other quilts show at most two borders, because the quilts "hang" in front of or behind the other quilts. This is the picture that gave me the idea to create my quilt in this manner. 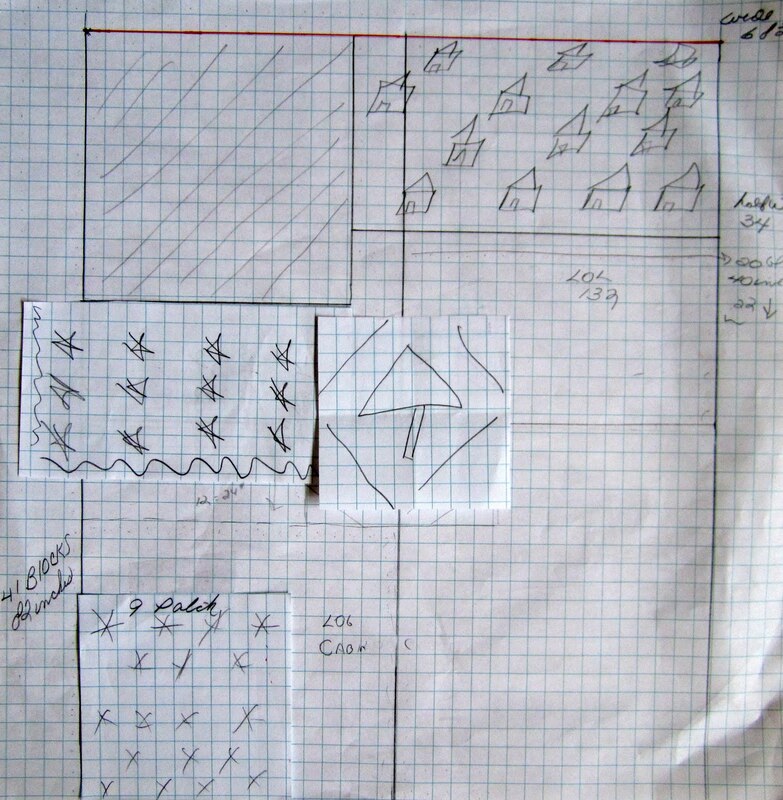 My first plan, assembling the quilt using graph paper, was a good starting point but when it got down to the final few filler quilts I went with a different approach. I placed painters tape on the floor the size I was shooting for, I also ran tape down the center and side to side to keep the tree quilt in the middle. This approach made playing around with the final placement of each piece much easier. I guess easier is a relative term, as I mentioned in my last post, it took me 22 hours to get all the pieces to fit together perfectly . This shot gives you a better feel for the size. I don't think there is anything I would change. I enjoyed the challenge, the process, and the quilt has the look I was going for. 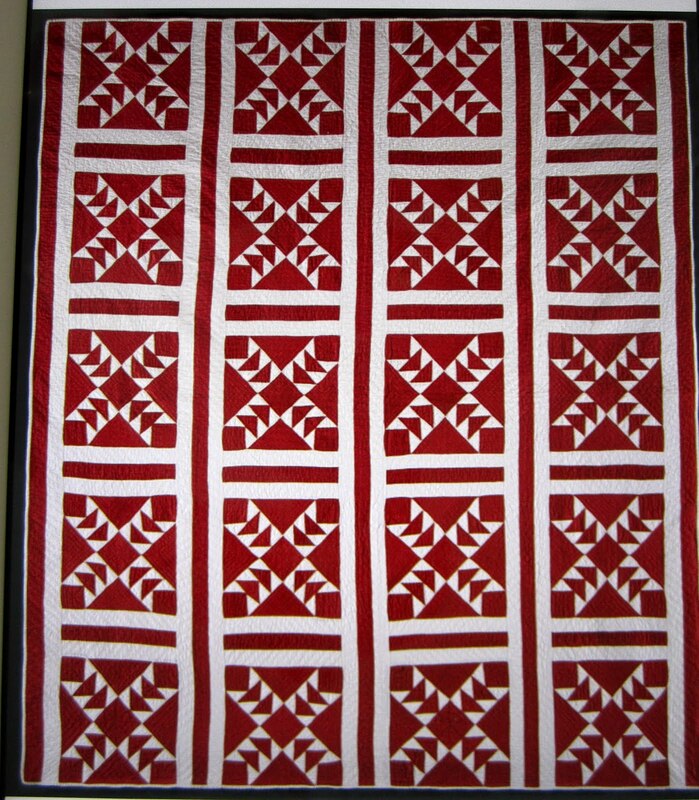 If you would like to review my process, start to finish, just select "Red and White Tribute Quilt" in the "Categories" section to the right. Thanks so much for your support, enthusiasm, and bewilderment as I worked on this project. I loved working on my tribute quilt but sharing it with you was just as much fun and a real motivator to see this project through. So what's up next? I'm not sure, but it won't be red and I'm NOT designing it! Finally, something different to blog about, it's not a new project, but at least it's a break from my Red and White posts. I'm still working away on Evening Bloom, my needle turn applique project from the Country Inn book by Blackbird Designs. This month is block five of nine, it's named The Iris Block and it is the center block of the quilt. 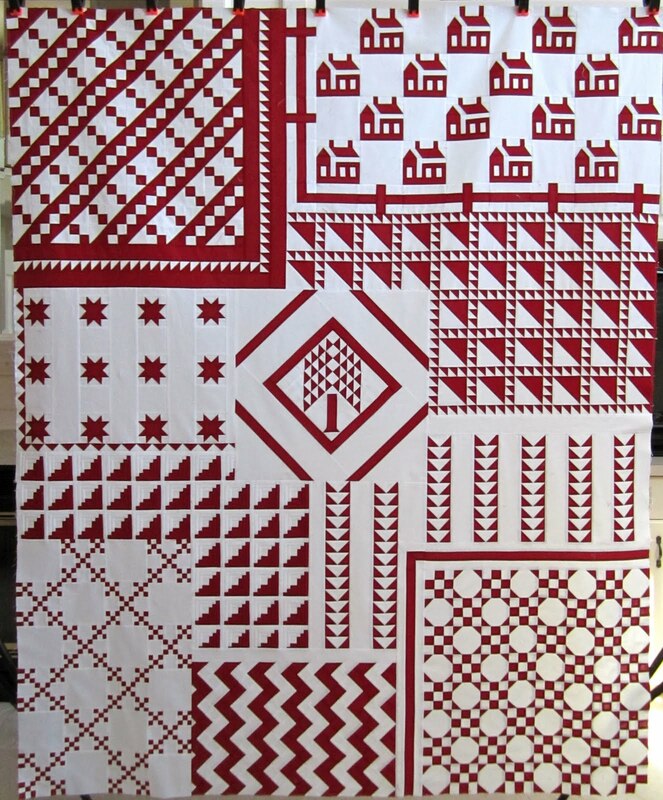 Here's the pattern from the book. All the blocks have red blooms and dark leaves and stems except for the center block. The designer went all red for that block. I thought it was a good idea to change up the look of the center block, but wasn't crazy about the pieces being one color. So here's my progress . . .
My block ready for some pieces. here's a picture of the next piece, a petal, in the fabric I originally chose. I didn't think it did anything for that block. Even though the designer went all red, I didn't like my fabric choice. So I tried this, which didn't stay up there long. wow, was that bad or what! Then I tried this. Even though there's no beige anywhere else in the quilt, I thought the block looked best with this fabric. I also liked how this gave the block a distinct look from the other blocks. And here it is with some of the other blocks. See what I mean about looking the same but still different? I'm very happy with it. I'm making this project with a friend, here's Marianne's block next to mine. Marianne thinks my technique is improving, that my curves and lines are getting smoother. I am getting quicker. Only 4 more blocks to go, I'm still hoping I'll have this done by the end of this year! Carol's fabric choice was Wiscasset by Minick & Simpson for Moda. I did not buy any of this fabric, definitely a mistake on my part, because I think it makes a stunning Eventide and would look great in some other patterns too. 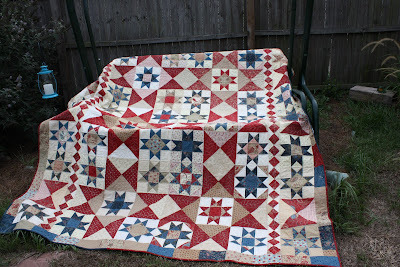 I love pictures of quilts taken outdoors, I've never attempted it, there's nothing interesting in my yard, like a fence or bench, and Cooper tends to keep our yard a mess. 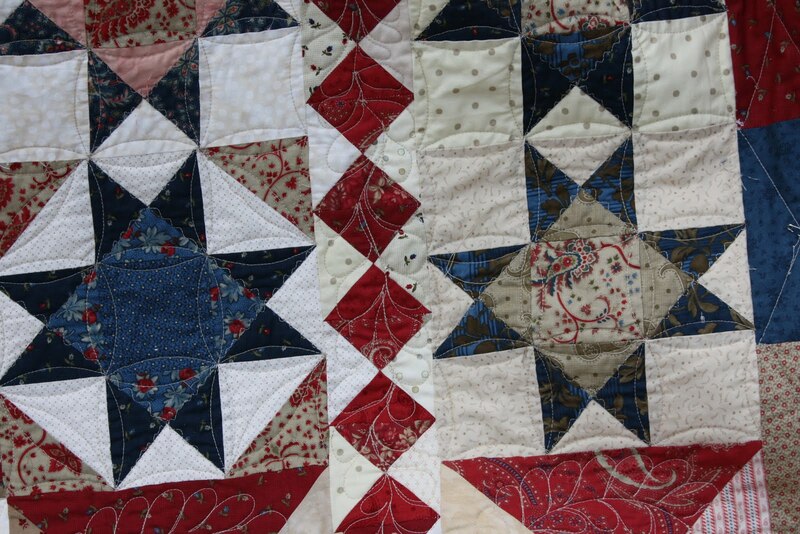 Here's closeup , great job on the quilting Carol, plus a good shot of that great fabric. 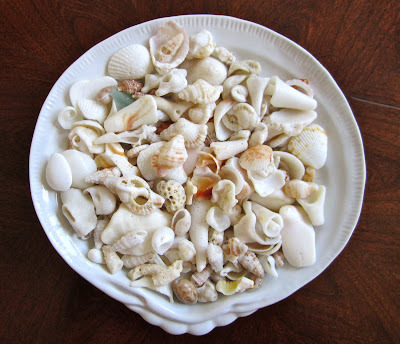 If anyone else out there has finished their Eventide be sure to share it with the group, send me an email with pictures or a link to your blog! I've finished my next Evening Bloom block, be sure to stop by tomorrow for a peek, it's the center block and has a little different look, but I love it.